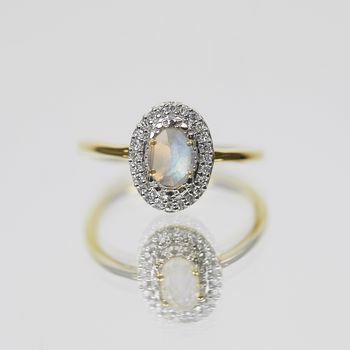 It's official, we are in love with this beautiful Moonstone & Diamond ring! 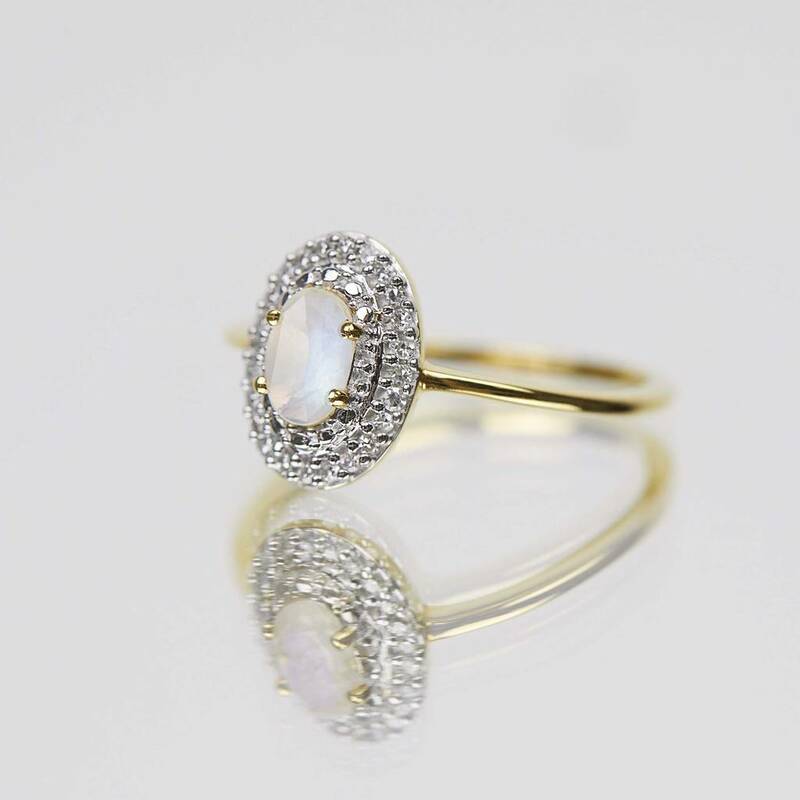 This absolutely stunning, vintage style ring is crafted in 14k Gold Vermeil and features a dreamy rose cut moonstone nestled within rows of sparkling single cut white diamonds! 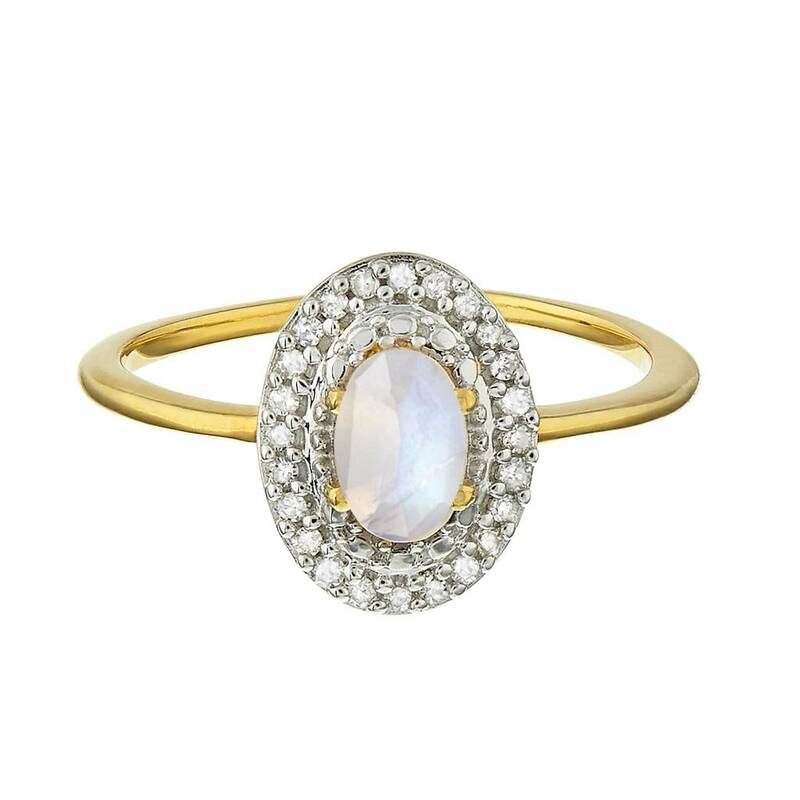 This gorgeous piece will bring a touch of her incredible style to every wearer!